June | 2011 | What's New at Rainnea Ltd. 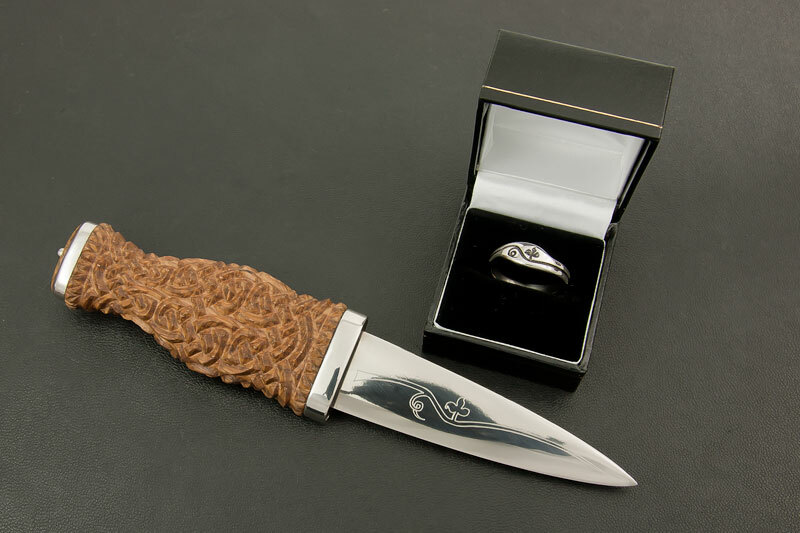 This Sgian Dubh and wedding ring have the design based upon the bride’s own unique tattoo. They were both made from titanium , except for the Sgian Dubh handle which was made from local oak. It’s been a nice project to work upon especially as the couple had the opportunity to visit and discuss their commission. Iain’s email is below. “Rab, Thanks again for making this ring for Gail and I. 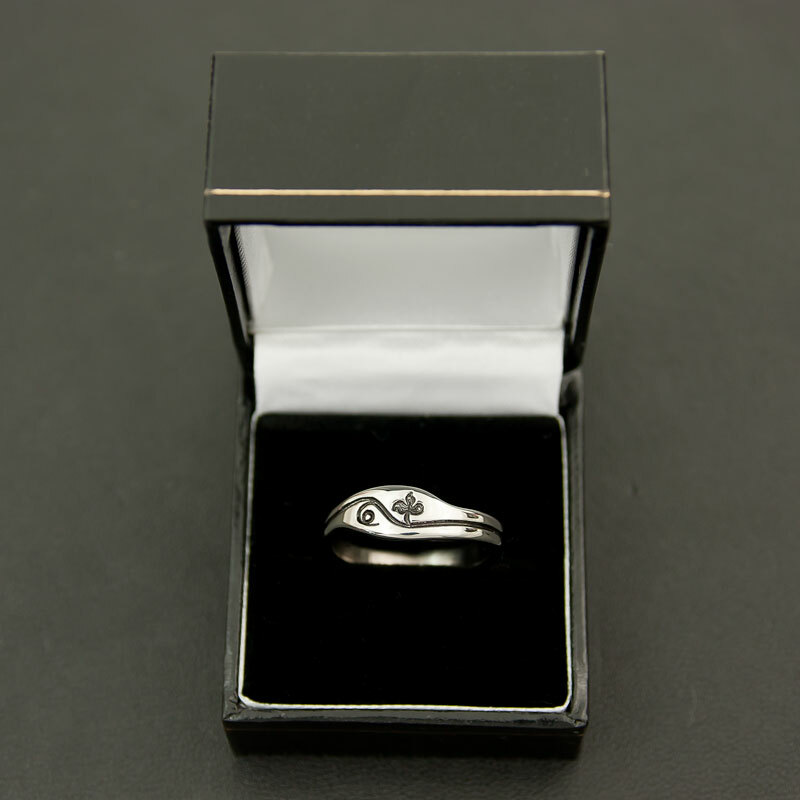 We had just a vague idea of what we wanted for the ring when we first spoke with you, and no understanding of what can and can’t be achieved. Being able to send you sketches and photos, and then discuss our thoughts with you, was a superb experience. We loved seeing the design being transformed on the screen on front of us, as we made suggestions. Some worked and some didn’t but we were able to see in advance, and it grew into this design that is far more than we had hoped for when we started. I’m very happy with the finished ring. 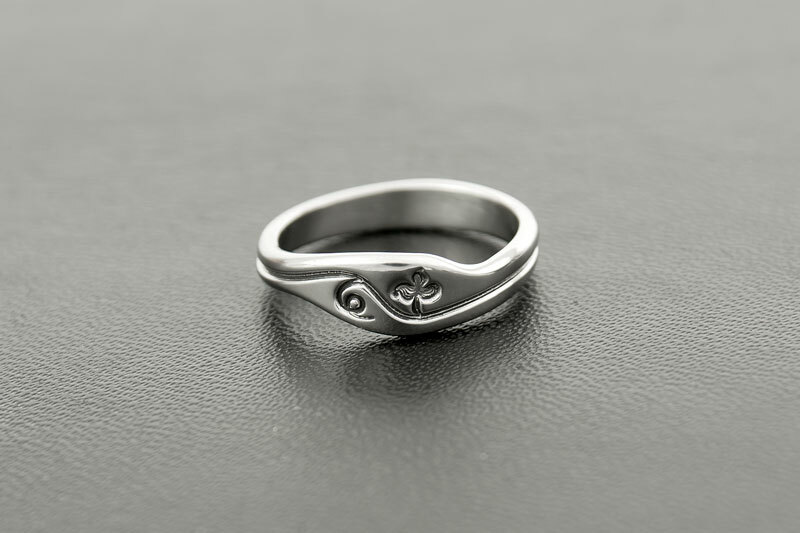 No shop bought ring, no matter how expensive, can ever have as much value as this one.